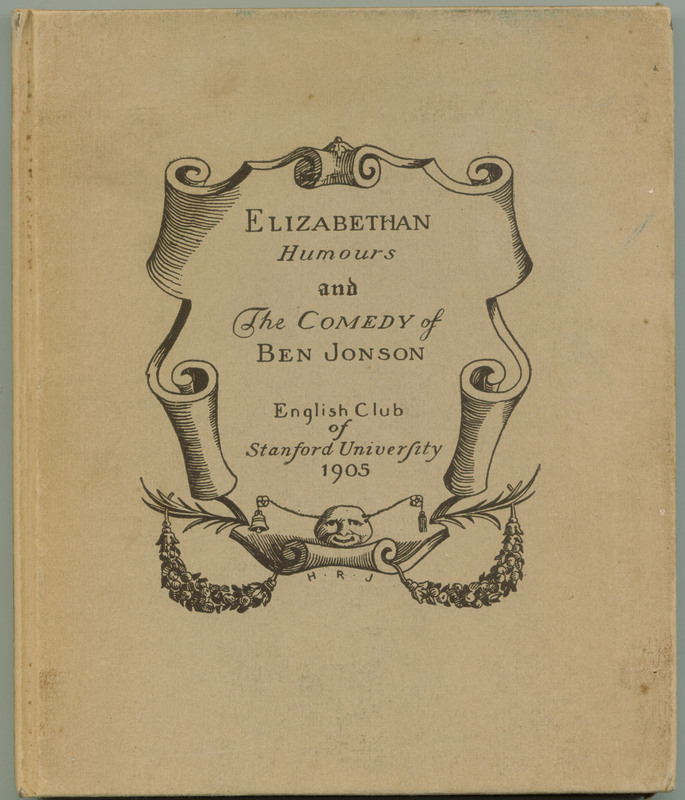 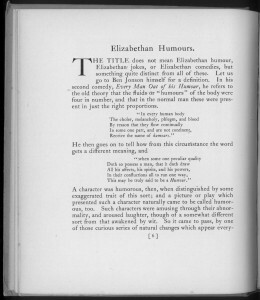 “The Stanford English Club issues this little book in connection with, and in commemoration of, the presentation of Jonson’s Every Man in his Humour at Stanford University in March, 1905. 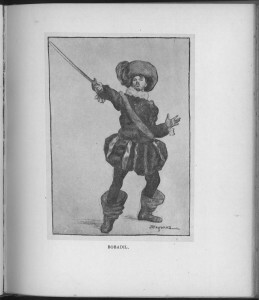 The stage that the Stanford English Club built (see frontispiece at right) was modeled in part on the Swan Theatre as represented in a 1596 drawing reproduced in 1903’s Knight of the Burning Pestle. 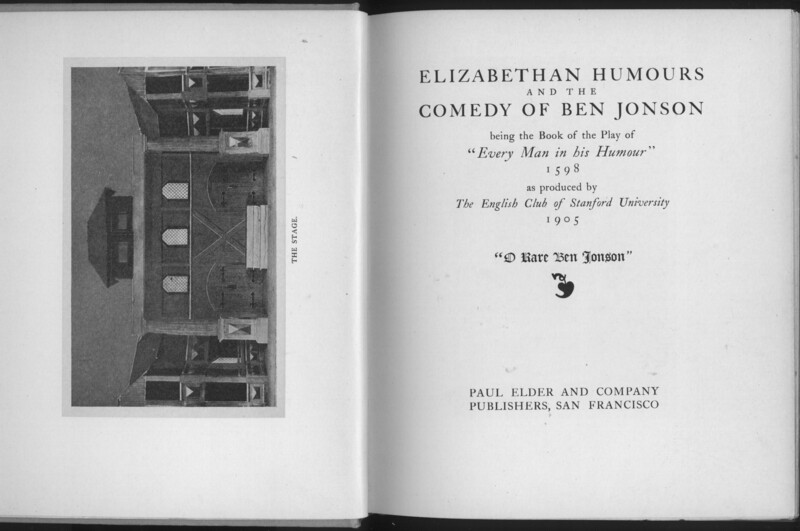 The stage extended directly to the “pit” where the “groundlings” (who had only paid for standing room) were gathered. The stage included a rear portion between two pillars, screened if necessary from downstage by a curtain called a “traverse,” and a upper balcony on the second floor. 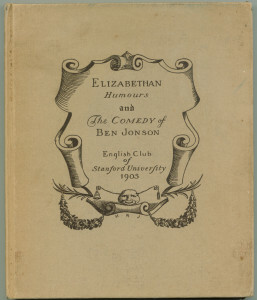 Ben Jonson wrote Every Man in His Humour in 1598 as a “humours comedy,” in which each major character is dominated by an overriding humour or obsession. 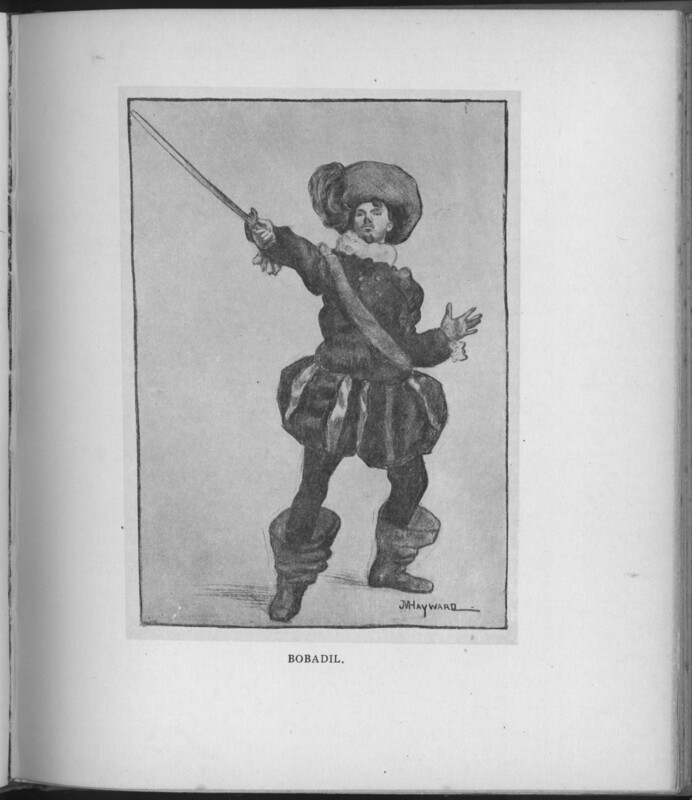 The play was probably performed for the first time by the Lord Chamberlain’s Men in 1598 at the Curtain Theatre. 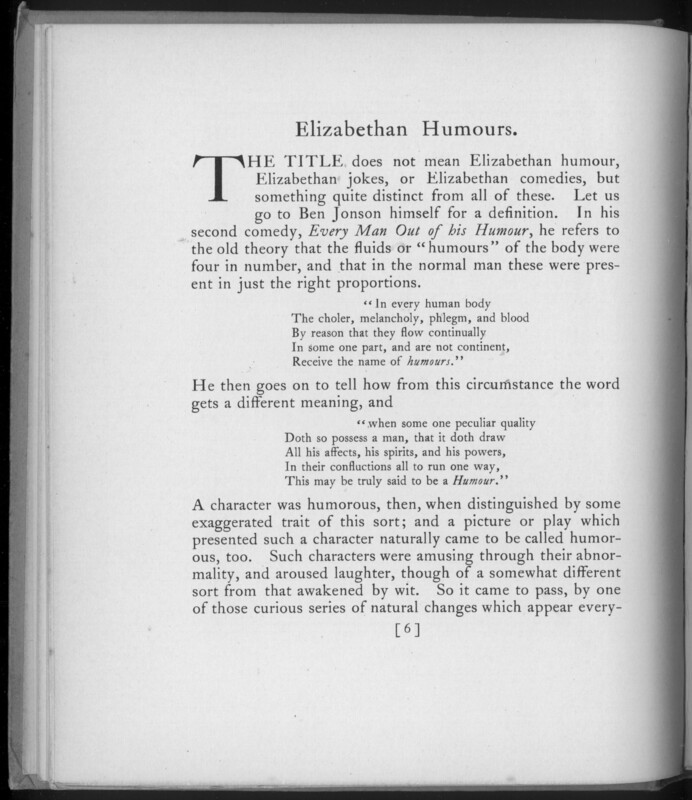 Based on the playlist published in the 1616 folio of Jonson’s works, the part of Kno’well, the aged father, was almost certainly performed by William Shakespeare himself, who evidently enjoyed playing older characters.